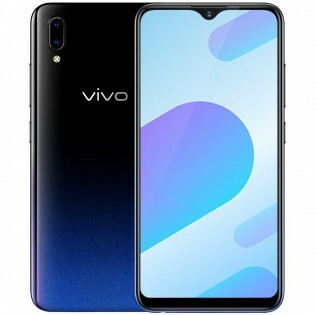 Vivo has retooled its Y93 with a MediaTek Helio P22 chipset (to replace the Qualcomm Snapdragon 439), doubled the built-in storage to 128GB an appended an s to the name - meet the vivo Y93s. The phone is built around the same blueprint - a 6.2-inch 720x1520px display with a teardrop-styled notch for the 8MP f/2.0 selfie camera. There are two other cameras on the vivo Y93s - a 13MP f/2.2 snapper paired to a 2MP f/2.4 depth-sensing second camera. The aforementioned Helio P22 chipset is on par with the Snapdragon 439, on paper. Both feature eight Cortex-A53 cores that can run at up to 2.0GHz and both are built on a 12nm process. Also both the Y93 and the Y93s offer 4GB of RAM. 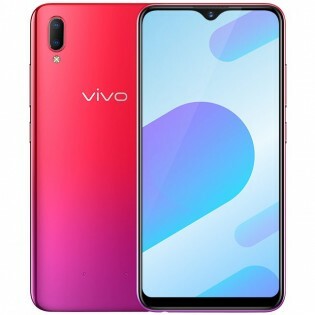 The battery on the vivo Y93s is an ample 4,030mAh. You can buy the vivo Y93s starting right now for CNY 1,698 (€215) - up from the CNY 1,500 (€190) of the vivo Y93 - a difference justified by the increase in storage - 128GB over 64GB of built-in. At the time of writing only the Zixia Red and Aurora Red colors are available. Phones are outstanding hard to believe specs for under a 200 euros price. Actually the Helio P22 is on par than the Snapdragon 450. The 439 has nothing to do here.